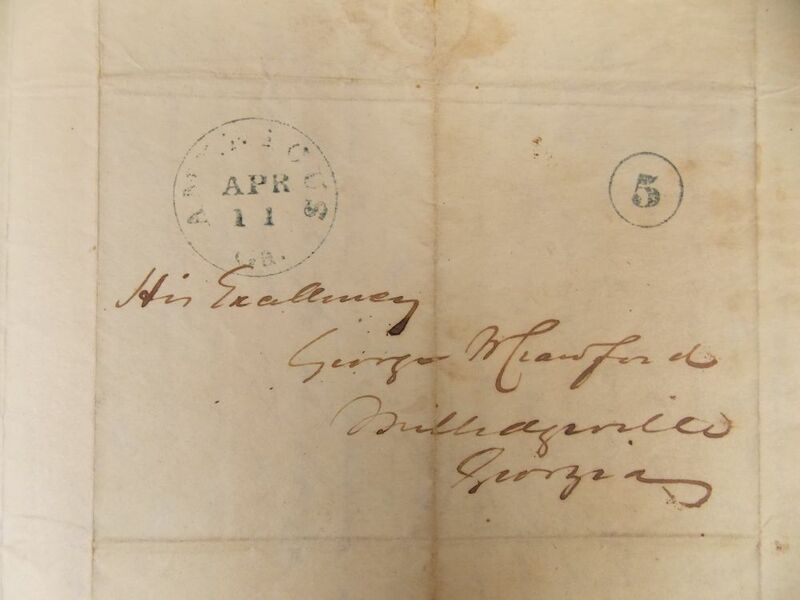 Crawford, William H. (b. about 1815) Autograph Letter Signed, 9 April 1846. 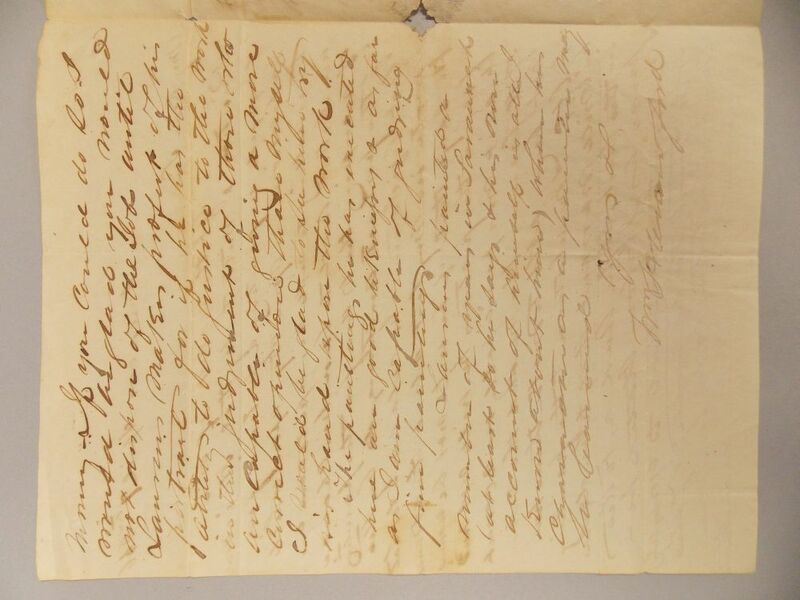 Crawford, William H. (b. about 1815) Autograph Letter Signed, 9 April 1846. Crawford, William H. (b. about 1815) Autograph Letter Signed, 9 April 1846. 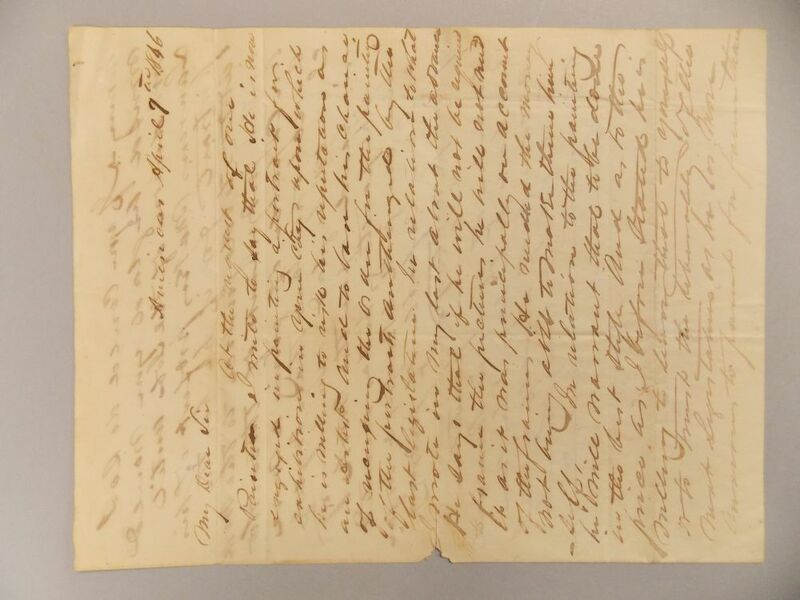 Crawford, William H. (b. about 1815) Autograph Letter Signed, 9 April 1846. 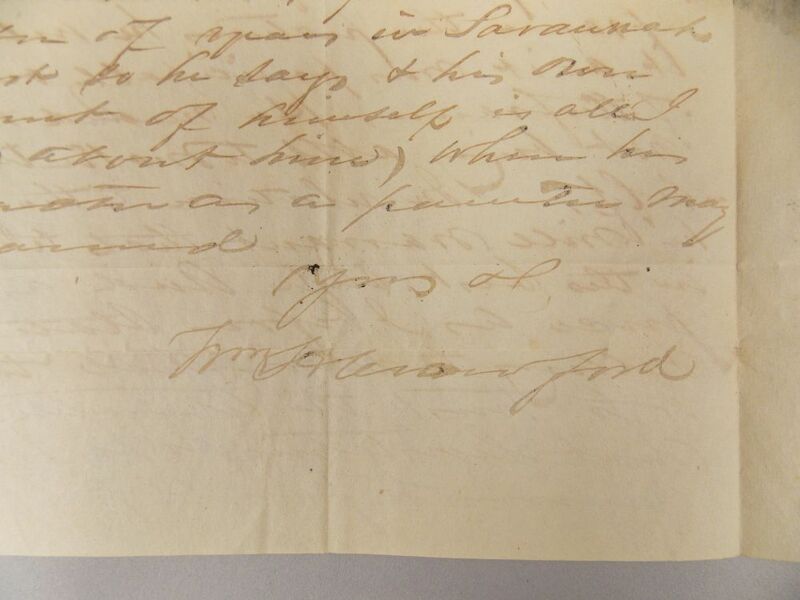 Crawford, William H. (b. about 1815) Autograph Letter Signed, 9 April 1846. 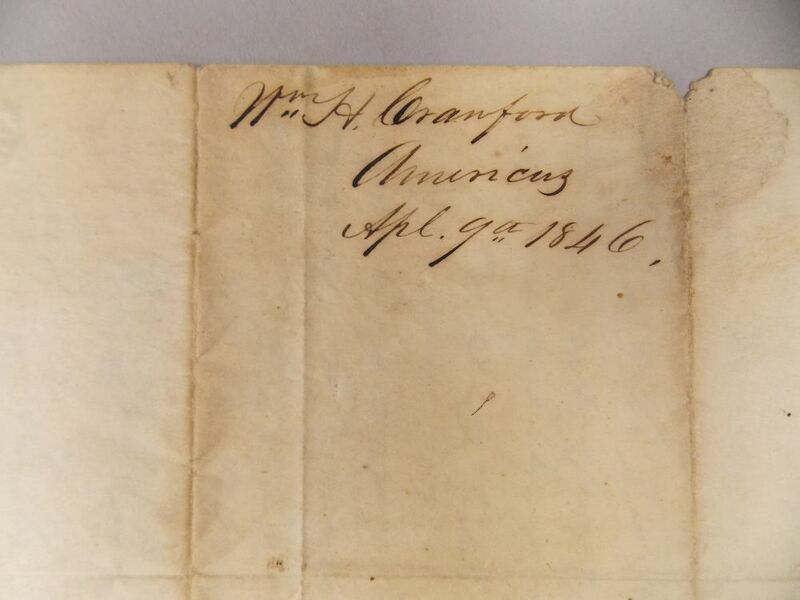 Crawford, William H. (b. about 1815) Autograph Letter Signed, 9 April 1846. Large wove paper bifolium with self-envelope, holograph address, and postmarks, the letter inscribed over two pages. 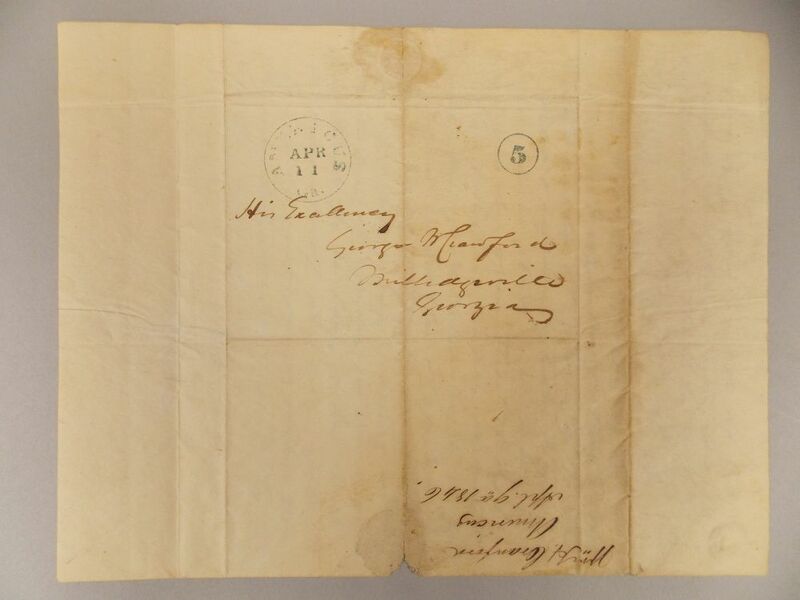 To Georgia Governor and U.S. Secretary of War, George Walker Crawford (1798-1872) concerning the painting of a portrait; old folds, some faint discolorations; small hole from the original opening of the letter, 9 3/4 x 7 1/2 in.